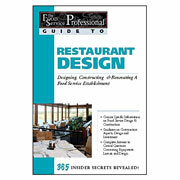 Concise specific information on food service design & construction. Guidance on construction aspects, design and investment. 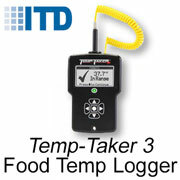 Complete answers to critical questions concerning equipment, layout, and design. 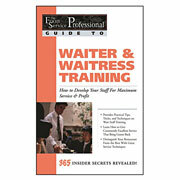 Part of the new GUIDE TO series from the editors of the Food Service Professional Magazine, this is one the best and ... more. This listing is for label supplies (1" x 1" White Labels) for Prep-Pal� printers. Labels are sold by the roll, box or case. Prep-Pal� is a food rotation labeling system that is a special combination of software and label printer that are specifically designed for restaurants and other commercial food manufacturers who routinely label foo... more. This listing is for label supplies (2" x 1" White Labels) for Prep-Pal� printers. Labels are sold by the roll, box or case. Prep-Pal� is a food rotation labeling system that is a special combination of software and label printer that are specifically designed for restaurants and other commercial food manufacturers who routinely label foo... more. This listing is for label supplies (2" x 1" Yellow Labels) for Prep-Pal� printers. Labels are sold by the roll, box or case. 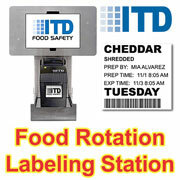 Prep-Pal� is a food rotation labeling system that is a special combination of software and label printer that are specifically designed for restaurants and other commercial food manufacturers who routinely label fo... more. This listing is for label supplies (2" x 2" Yellow Labels) for Prep-Pal� printers. Labels are sold by the roll, box or case. 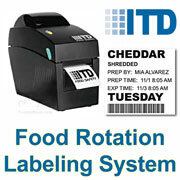 Prep-Pal� is a food rotation labeling system that is a special combination of software and label printer that are specifically designed for restaurants and other commercial food manufacturers who routinely label fo... more. This listing is for label supplies (2" x 2" White Labels) for Prep-Pal� printers. Labels are sold by the roll, box or case. Prep-Pal� is a food rotation labeling system that is a special combination of software and label printer that are specifically designed for restaurants and other commercial food manufacturers who routinely label foo... more.